It would be hard to overstate the importance of Auguste Rodin (18401917) in the history of modern sculpture, posits art historian Daniel Kiecol. Unable to get into art school, Rodin pursued his own inspirations—Renaissance masters, the French gothic, and centuries of literary thought—and bypassed academic formality, expressing authentic character and emotion in his work. The unfinished, fragmentary nature of works like The Burghers of Calais, his portraits of literary giant Honoré de Balzac, and the component figures of The Gates of Hell pointed the way for 20th-century sculptors. 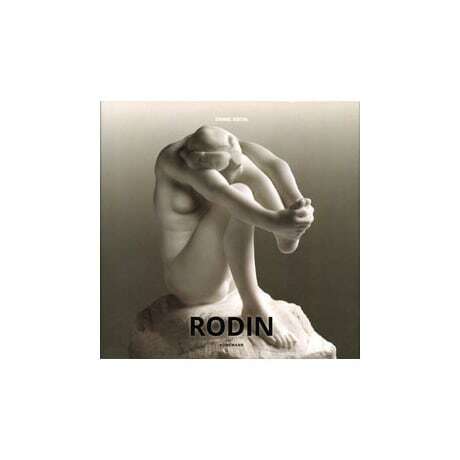 Boasting outstanding color reproductions on nearly every page, this affordable art book is quite compact (measuring just under 7½ inches square), yet offers a surprisingly wide-ranging survey of Rodin's work, with an introductory essay, titles, and captions in six languages.